We were honored to be invited to the VIP Opening Party last weekend to celebrate with staff, family and friends. 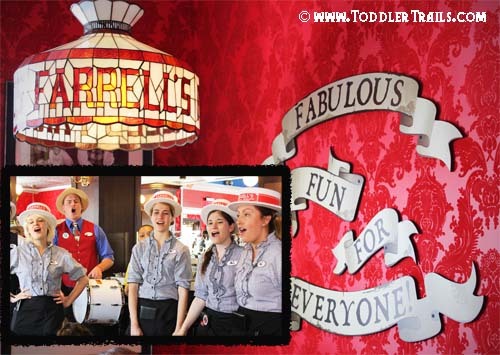 As the tradition continues, Farrell’s staff are more than willing to entertain and even embarass you with their witty humor, catchy tunes and amazing ice cream creations. In 1971 the Marriott Corporation bought the company and grew to 130 locations nationwide and changed their concept to a ” traditional family restaurant”, ultimately closing in 1990. 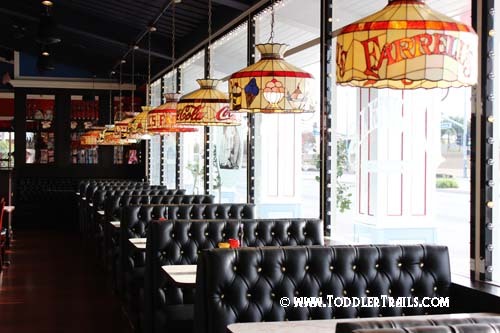 In 1996, a new company tried to bring back the infamous Farrell’s Ice Cream Parlours and with a few legal tussles from 2003-2008 again stopped Farrell’s development. 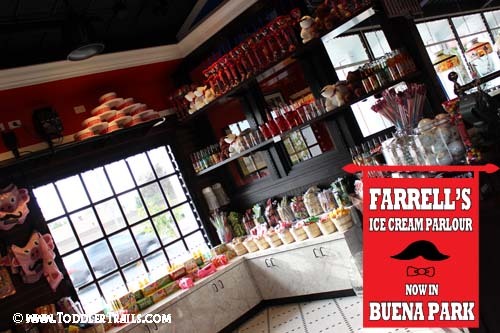 In 2009, now under the ownership of Orange County, California based, Parlour Enterprises Inc. Farrell’s is back. With a goal of keeping true to the original company and input from Bob Farrell, Parlour Enterprises brings Farrell’s into the Twenty First Century. 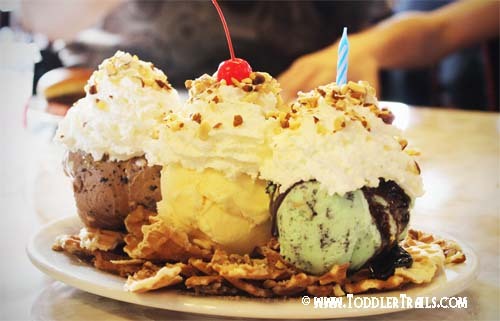 Farrell’s Ice Cream Parlour Restaurants still offers a amazing American cuisine for the entire family! Here are just a few of the delicious items on the menu…. 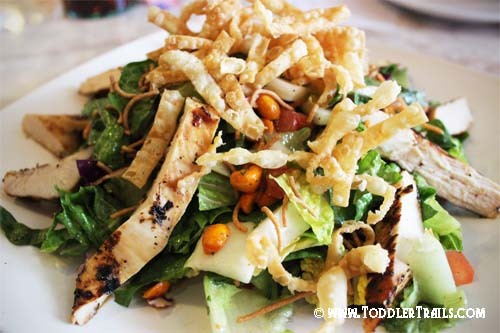 Farrells Chopsticks Chicken Salad is perfect if you’re looking for a little “kick”. This delicious salad consists of chopped cabbage and romane lettuce, red cabbage, SPICY peanuts, carrots, tomatoes, cilantro, scallions, rice noodles, crispy wonton strips and sesame ginger dressing with grilled chicken. I loved every last heated bite! 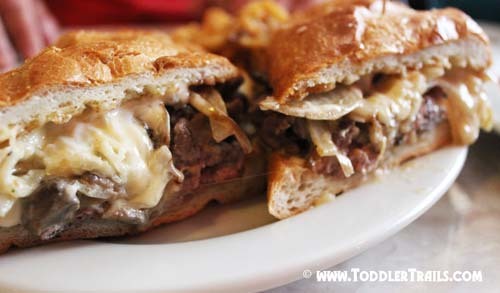 Farrells Fabulous French Dip starts with a Parmesan-buttered French Roll piled with thinly sliced oven roasted Angus beef. 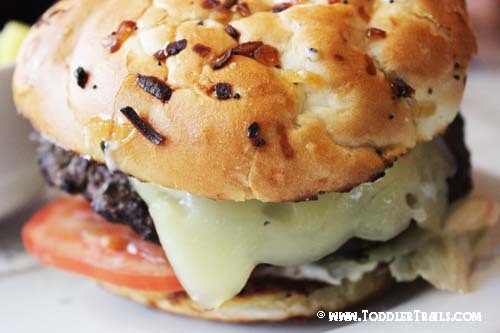 To top it off, add some swiss cheese, creamy horseradish or Au jus. 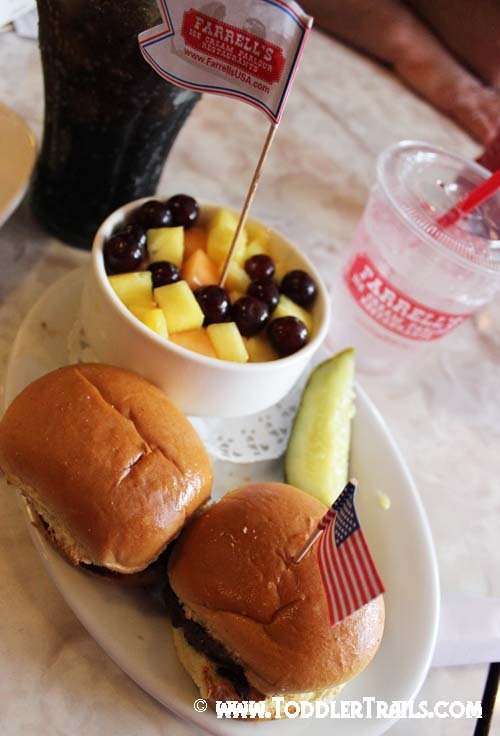 Farrell’s All American Burger is a 1/2 lb of fresh beef flame broiled with crisp lettuce, pickles, red onion, tomato and Farrell’s Sauce with your choice of cheese. After a fantastic lunch or dinner, you must save room for a fabulous desserts, because that is Farrell’s specialty. In fact, if you look at the menu, I think the “Fountain Fantasies” section has the most options. Farrell’s Strawberry Shake is purely heaven. 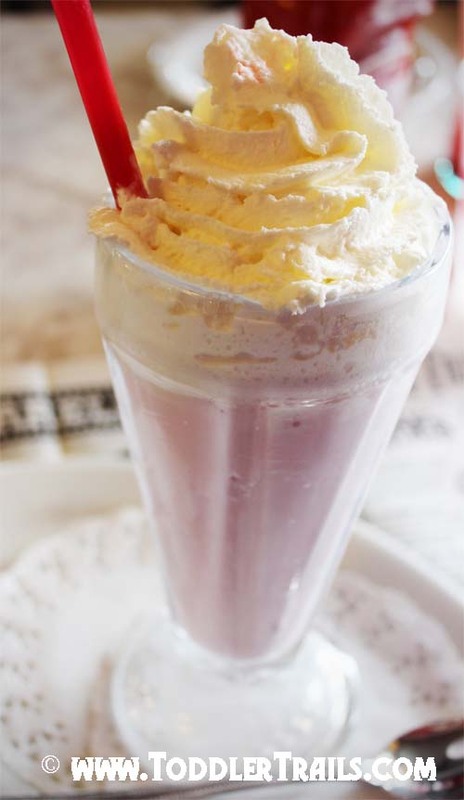 Old time, rich and creamy shake with a touch of strawberry flavor, whip cream and a cherry is to die for. 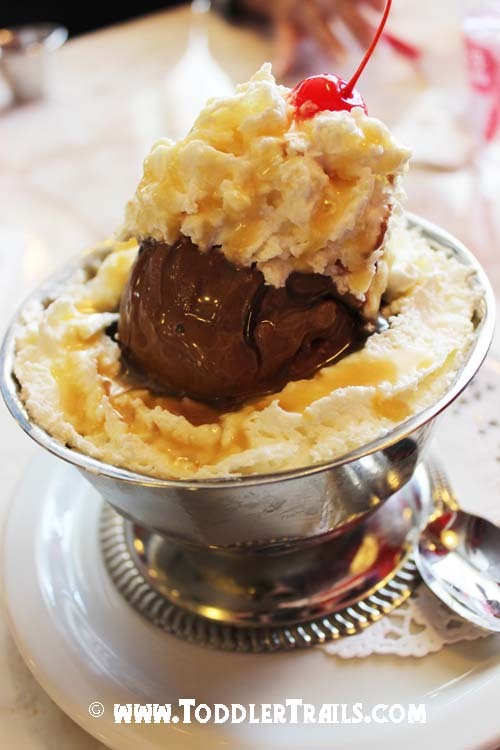 Farrell’s Caramel Nugget is perfect for candy bar lovers! I had this amazing dessert with a scoop of chocolate ice cream, loaded with creamy caramel and nuts, hot fudge and more caramel, topped off with whipped cream, more nuts and a cherry – pure bliss! “For the Rebels, because they just don’t fit into any category”, the Farrells Ice Cream Nachos consists of a waffle cone, mint chip, chocolate malted crunch and vanilla ice cream; topped with hot fudge, caramel, blueberries, whipped cream, almonds and a cherry. 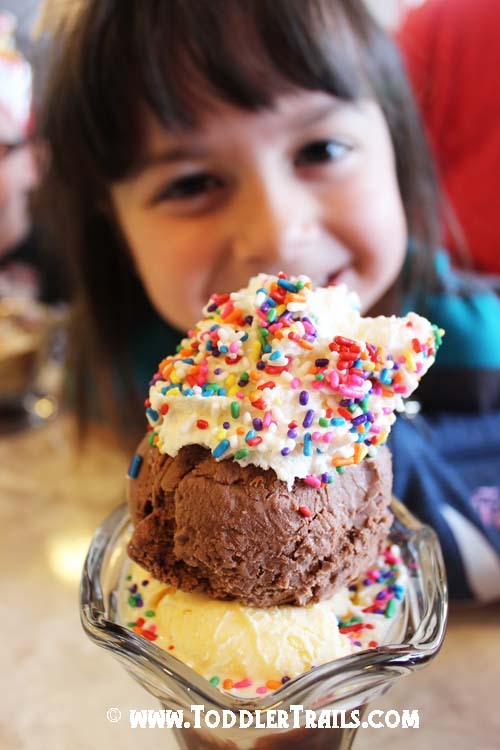 Farrell’s Ice Cream Parlour is the perfect place to commemorate any occasion – or make any typical day into a reason to celebrate. 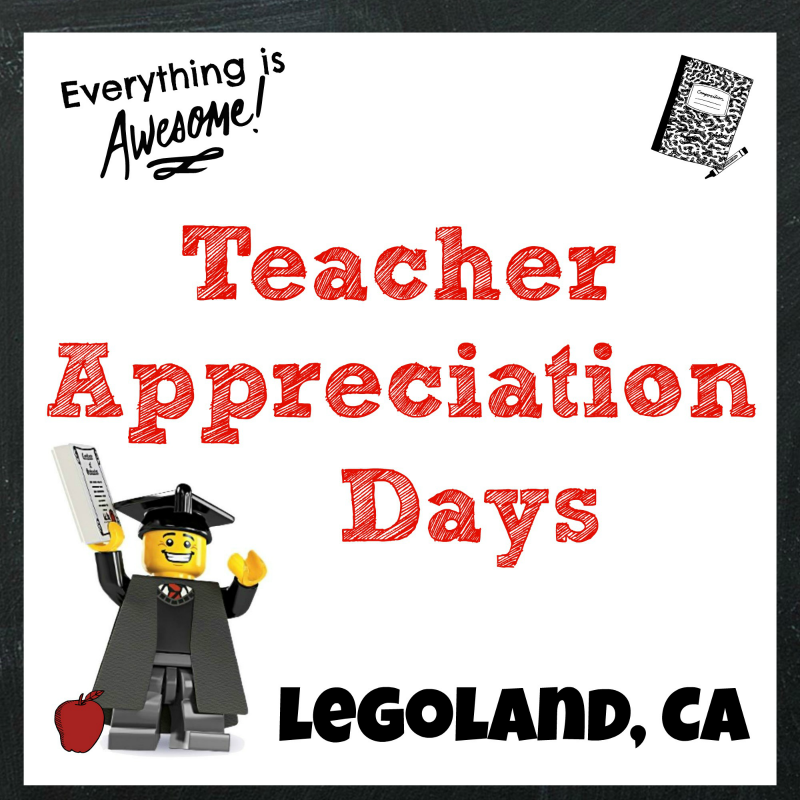 My advice, plan early! If you have a big party, make sure you call ahead to make reservations! 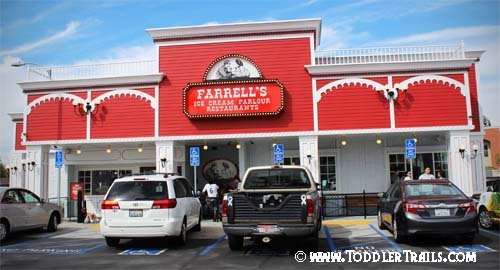 Disclaimer: Thanks to our friends at Farrell’s Buena Park for inviting us to the VIP Grand Opening Celebration. A complimentary meal was enjoyed by the family, however no other compensation was received. All opinions and true love of Farrell’s is all my own! 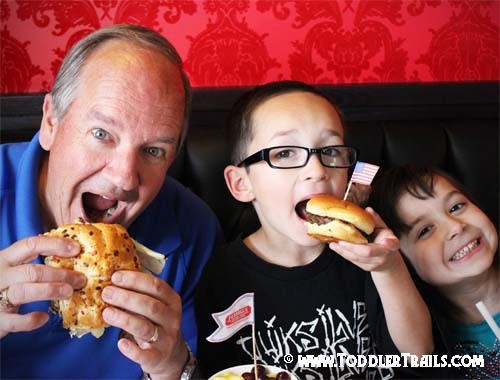 My kids would love the kids sliders! I love all the choices of desserts. Thanks for sharing. 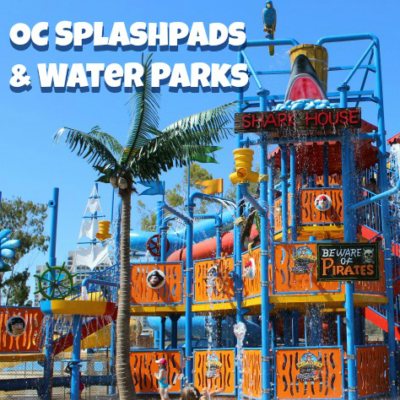 We always have a great time when we go. So happy to learn this is location opened up (closer to us).